Life has been extremely busy of late. I have been rehearsing for two productions of Grease – playing Sandy in one and Rizzo in the other – as well as working full time and trying to keep my life in order! Because of this, I don’t have a big post for you this month, but I do want to talk to you about the ways that I have maintained a zero waste lifestyle while feeling stressed and time-poor. Eating on the go and staying rubbish free is a tough nut – but one you can crack with a little forethought and preparation! Firstly, make sure you continue shopping for unpackaged food – using fresh produce, bulk bins, and your own containers/bags. If you really are short on time then premade food is always an option but make sure it is packaged in something reusable or recyclable! Secondly, food prep is your friend. I often used my free Saturday afternoons to whip up a bunch of different meals that I could reheat or defrost throughout the week. This meant I didn’t have to worry about making lunch and dinner every day. Take a napkin (mine is a scrap of old cloth) and metal cutlery everywhere with you! When ordering meals make sure to ask for no plastic cutlery or paper napkins – that is one easy and simple way of cutting completely unnecessary waste from your life. “No straw please” is a phrase I am learning to integrate into my life when buying a drink in a café, bar, or restaurant. Learn which food providers near you are environmentally conscious and use them. Lately I have been eating a lot of Moroccan food from Casbah – they use great paper bags, and their containers and cutlery are compostable! Win! If yes – say thank you a lot because that’s awesome. 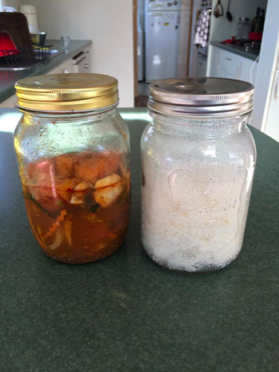 Decide on your order and gather appropriate number of containers – I used two large glass jars for my tom yum soup and rice. Go to the restaurant, order and pass over containers – you may need to specify that you don’t need cutlery, a napkin, or a bag. Chat nicely with the staff and be the super charismatic and suave human that you are. 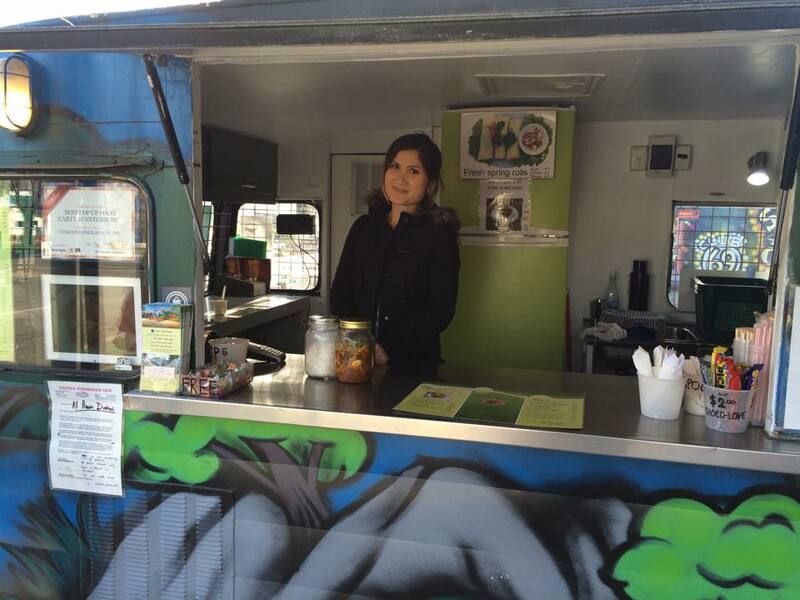 The wonderful humans at Thai Container are happy to help! 5. Once your food is ready thank them all again, then head home to gorge and enjoy! Yummmm. It is easy to get demoralised when feeling overwhelmed by life – just remember to do what you can and that your efforts make a difference! Keep on keeping on, folks!